Before 1991, Web hosting as we know it today did not exist. Then again, the Internet before 1991 was vastly different to today’s Internet. The Internet may be the greatest media advancement since radio and television; it is currently powered by nearly 50 million websites forming its central nervous system. Without websites, and the companies that host them, where would you go when you go online? 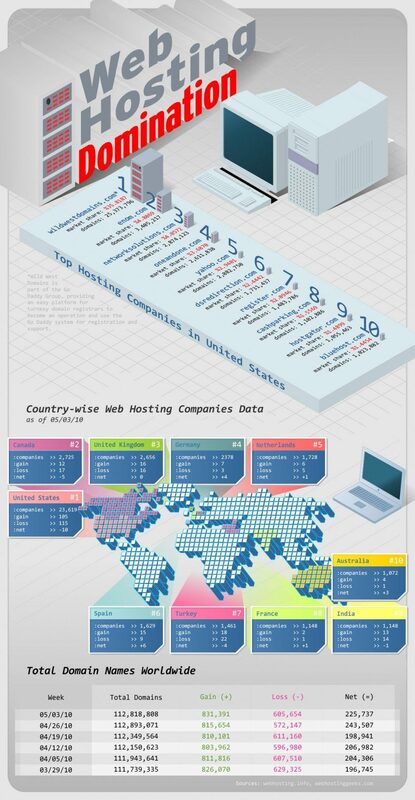 The top Web host is Wildwestdomains.com, with a market share of 35.8187 percent. Wild West Domains is part of the Go Daddy Group, providing an easy platform for turnkey domain registrars to become an operation and use the Go Daddy system for registration and support. Wildwestdomains.com hosts 25,373,796 domains. 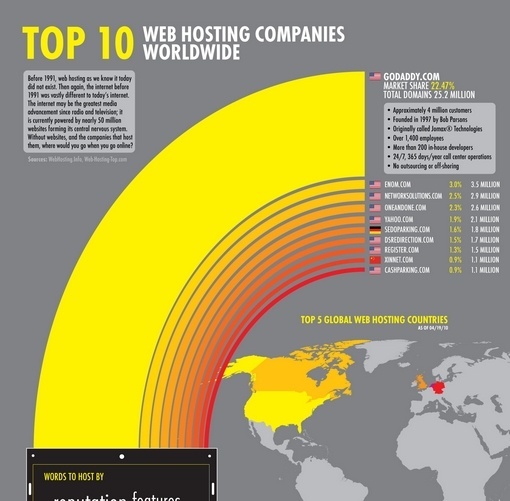 The number two Web host is enom.com, with a market share of 4.8069 percent. 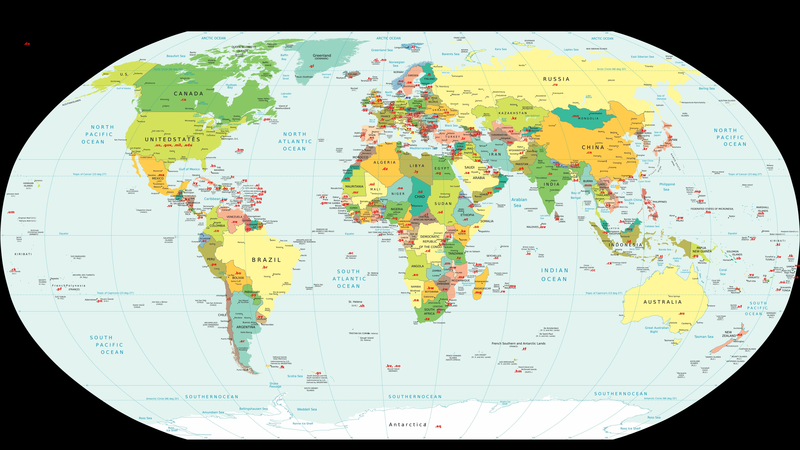 It hosts 3,405,217 domains. 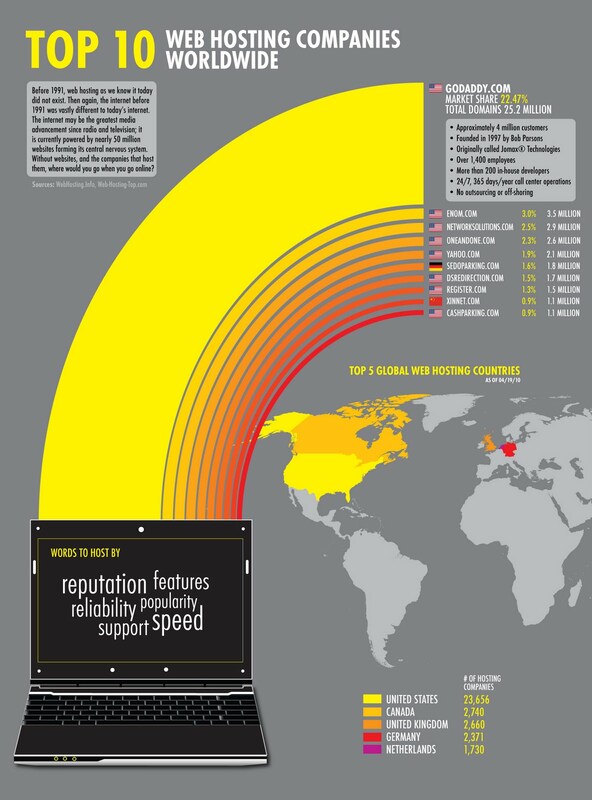 Number three is networksolutions.com which has a market share of 4.0572 percent. It hosts 2,874,123. Number four is oneandone.com, with a market share of 3.6870 percent. The number five Web hosting company is Yahoo.com, with a market share of 2.9401 percent. Yahoo hosts 2,082,750 domains.